Because of the natural beauty here in the Myrtle Beach area, many locals and visitors request their photos be taken on the beach. Myrtle Beach Photographers differ in their specialties, but most all do beach photos, wedding photos, group photos, or custom photos. 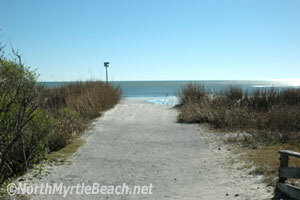 If you just want to look at pictures of our area, visit one of the largest online galleries of Myrtle Beach photos by locals, which includes pictures of the beach, oceanfront resorts, nightclubs, attractions, shopping centers like Broadway at the Beach and Barefoot Landing, and other popular venues around the Grand Strand. You may also find videographers in Myrtle Beach with online videos and clips of local TV segments aired recently and previous area events recently filmed. If you live here or visited here recently, and would like to submit any of your photos for publication on the web, email us and we'll reply with instructions on getting your photos online for all your family and friends to see.